At first light, I have her all to myself, aside from one lone jogger and a trash collector. I start to feel the lure of Savannah, Georgia, that sweet sickness that the French call le mal doux. I need to sip her slowly, like a dry martini. Late afternoon light strikes the iconic fountain on the north side of Forsyth Park in Savannah, Georgia. At first light, I have her all to myself, aside from one lone jogger and a trash collector. I start to feel the lure of Savannah, Georgia, that sweet sickness that the French call le mal doux. I need to sip her slowly, like a dry martini. I take a deep breath and etch her memories in my mind's eye. Spanish moss hanging from beautiful 250-year-old live oaks, ornate ironworks surrounding mansions, and lounge-worthy park benches in the city's 22 stunning public squares -- this is Savannah, Georgia. When something is this good, you need to sip it slow and put it on your bucket list. 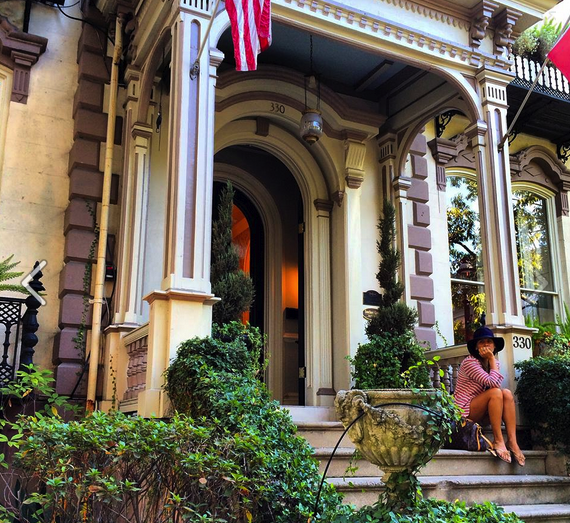 Savannah's allure entangles my senses as I meander aimlessly through her gritty, yet Southern hipster streets. Each corner seems to tell a story and my journey to the Bonaventure Cemetery is no different. My fascination with cemeteries runs deeply through my Southern roots. Stepping foot through the gated archway takes my breath away and captivates me right from the start. I find myself walking down avenues of live oaks with a quintessentially southern gothic look. The cemetery transcends time with its natural cathedrals, tombstones, and sculptural gardens dotted among the civil war heroes that are buried here. They lie near local heroes like singer-songwriter Johnny Mercer and the Pulitzer Prize winning author Conrad Aiken. This cemetery is where Savannah shows her respect. Before you visit Savannah, I highly recommend you read Midnight in the Garden of Good and Evil by John Berendt. It is the 1994 New York Times best-seller written seductively about Savannah and immortalized on the silver screen by Clint Eastwood a few years later. It simply radiates Savannah charm and its impact on the city and its visitors has been greater than any other book ever written about Savannah . It's almost like a Lonely Planet guidebook that takes you to the most interesting haunts around the city and introduces you to its most captivating characters. Featured on the front cover of the book you'll see the "Bird Girl" statue originally located at the Bonaventure Cemetery. She has since been relocated to the Telfair Museum of Art. 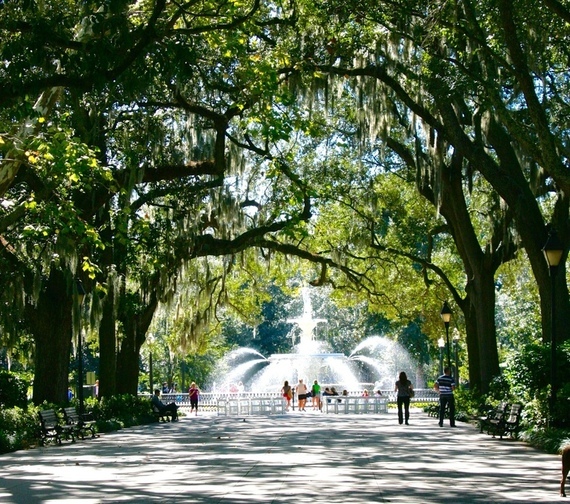 No visit to Savannah would be complete without a visit to Forsyth Park. There you will see the most alluring water fountain you have ever seen in the United States. Old Southern mansions have been restored and surround the romantic park. The architecture is stunning and represents the imaginative flair of Southern styles made of brick and limestone. There are classic homes, American Gothics and Victorians, on every corner, surrounded by Greek Revival columns. Even the most modest houses have shuttered windows, ornate doors, and wrap-around porches. River Street is a busy nine-block waterfrontthat stretches along the Savannah River. It was once a bustling, gritty wharf, but it has since grown into a flourishing commercial area with galleries, an open-air marketplace, a good selection of restaurants and bars, and not one, but two candy stores. It is also where you will find the Waving Girl monument, modeled after Florence, the daughter of a Sergeant Martus, who was stationed on Cockspur Island between Savannah and Tybee Island. As a child, she was often lonely and would wave her kerchief to the sailors passing by. Over the course of 44 years, it is estimated that she welcomed more than 50,000 ships into the harbor, as she continued her waving tradition. 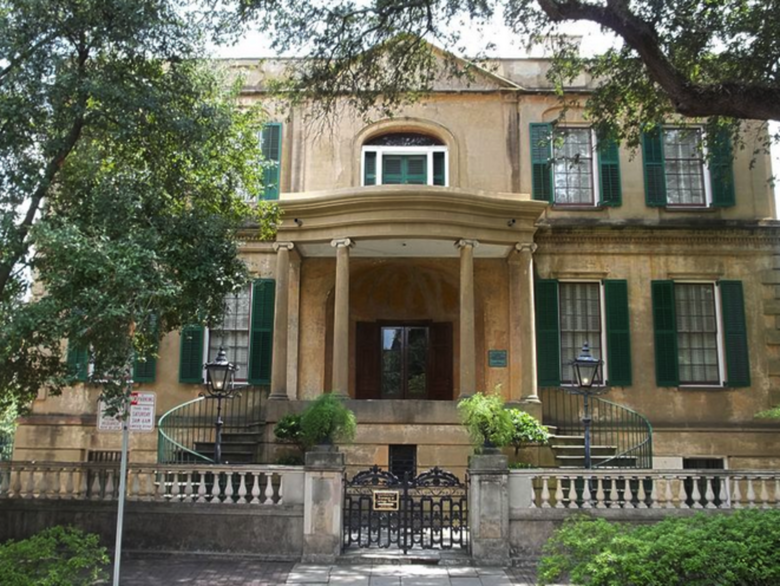 In Savannah there's no shortage of fine homes to tour, but be sure you don't miss out on visiting the Thomas-Owens House, considered one of the finest examples of English Regency architecture in America. It was built in 1819 and occupies an entire block. 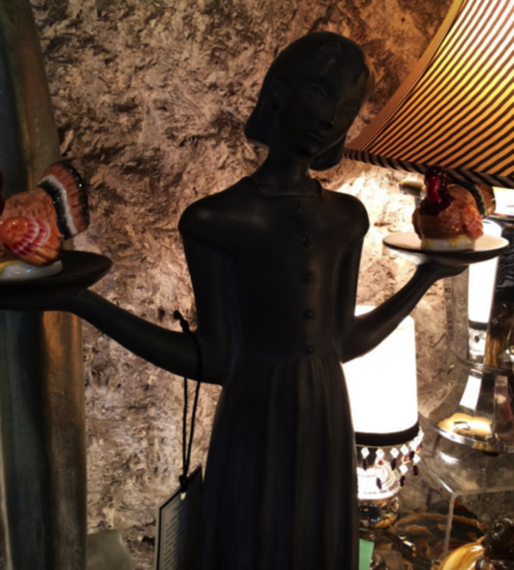 It features a cast iron balcony, a winding double staircase, and arched storybook windows. You'll even see, in the slave quarters, a traditional indigo ceiling. Slaves mixed up a paint made of indigo, lime, and buttermilk believed to ward off evil spirits. The result was known as a "haint" blue ceiling; haints are restless spirits of the dead who have not moved on from the world of the living. The indigo ceiling was intended to protect them from being "taken" or influenced by haints. Slaves believed that the ceiling protect the whole house and its occupants from evil. 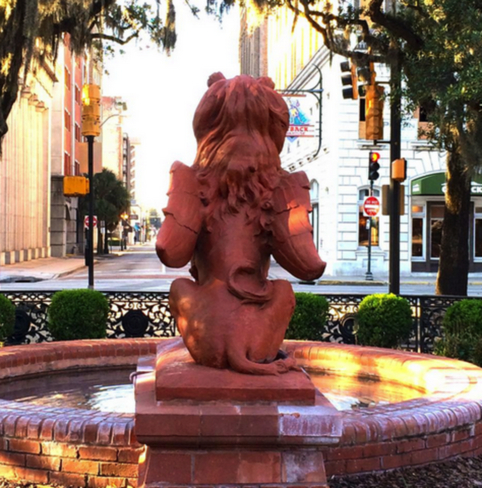 As America's first planned city, each street in Savannah leads to a different town square, all of which are decked out with fountains, park benches, and monuments. 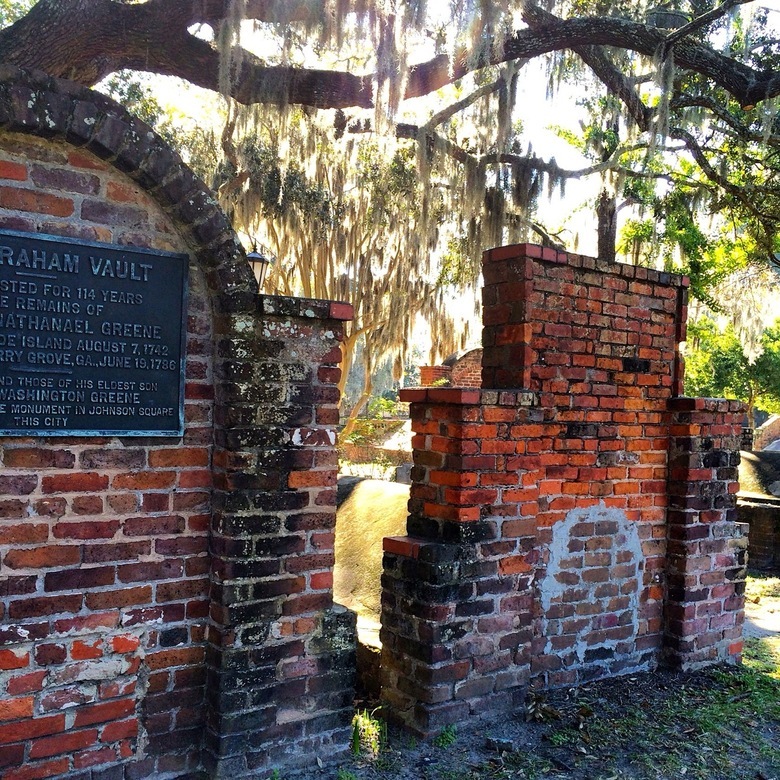 If we mention this, we also have to mention James Oglethorpe, the founder of Savannah. In 1733, he designed a grid system featuring twenty-four town squares. Today, only twenty-one of the original twenty-four town squares are left. 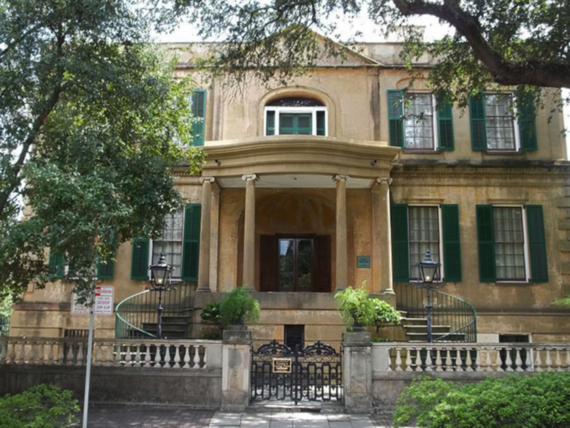 Three were taken over by construction companies and demolished before the ladies of the Historic Savannah Foundation were able to put a stop to the dreadful practice. One of the three destroyed squares was restored to its original grandeur and rebuilt according to its original plan. 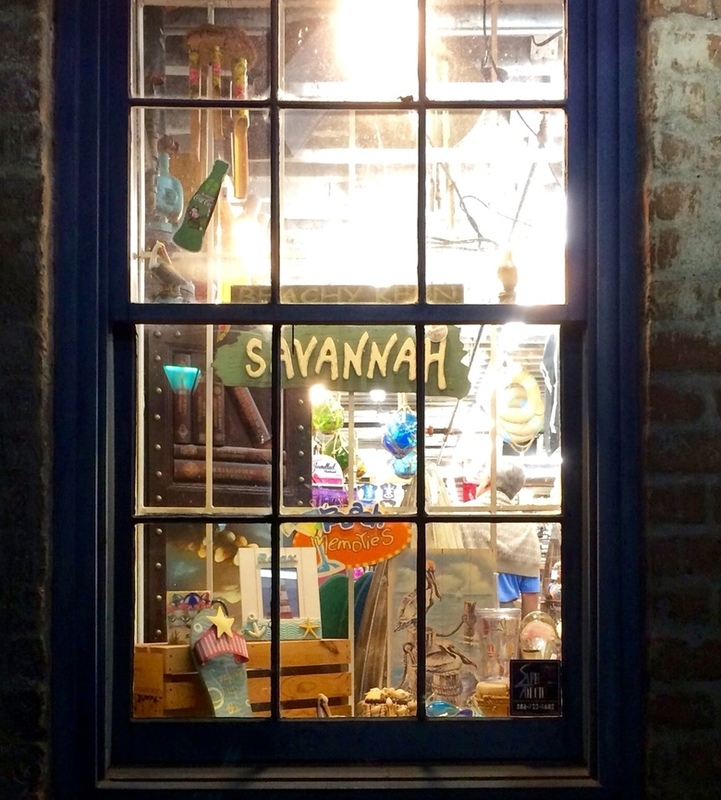 Despite holding on so tightly to its history, or perhaps because of it, Savannah is a vibrant and progressive destination that is fast becoming one of the top tourist attractions in the United States. By the end of my week in Savannah, I have no desire to move again. I find myself sitting on a bench in Medford Square, pondering my own Southern past when I notice a historical marker that reads, 'This is the "birthplace" of "Jingle Bells" in 1850.' Apparently James Pierpont published this familiar song nearby while serving at the Unitarian Church in Oglethorpe Square. It seems to me, that in Savannah, every square and every house is a museum of sorts; each one collecting the memories of the past. It is as though every acre of land is a romantic tomb preserving our collective Southern past. In Savannah, it is useless to pretend that we are not all connected. This post, which was originally featured on the Findery blog, was written by Dr. Cacinda Maloney of Points and Travel on behalf of Findery. 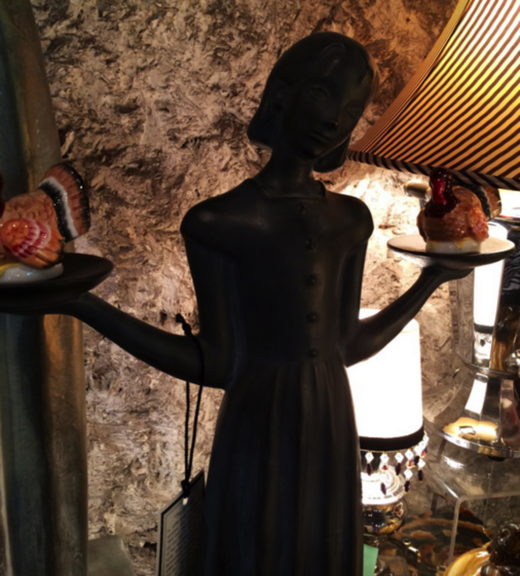 Follow more of her travel adventures on Findery.